The Swedish naturalist, Carolus Linnaeus (Carl von Linne) pioneered the internationally recognised naming system for every creature and plant. Realising that every organism should be classified systematically according to its relationship with other organisms, he created the Linnaean system in his works, Systema Naturae in 1735 - a catalogue of the names of all known animals and plants. The 10th edition of Systema Naturae in 1758 is often adopted as the starting point for biological classification of animals and plants by family, genus and species. According to the Linnaean system, all animals and plants are known by a combination of two names - the first indicating the genus, and the second, the species. 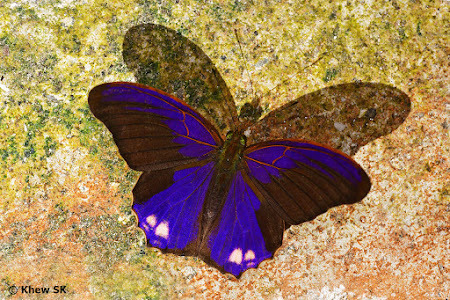 This system, referred to as binominal nomenclature is also applied to the naming of butterflies. 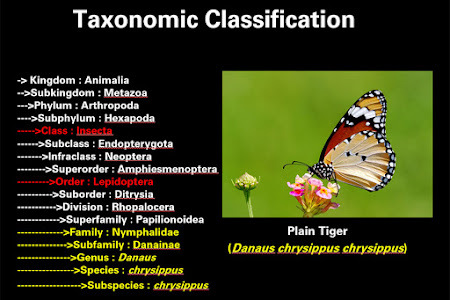 Furthermore, classification of butterflies used by many researchers and authors extend one more level to a rank below species. This is the subspecies. 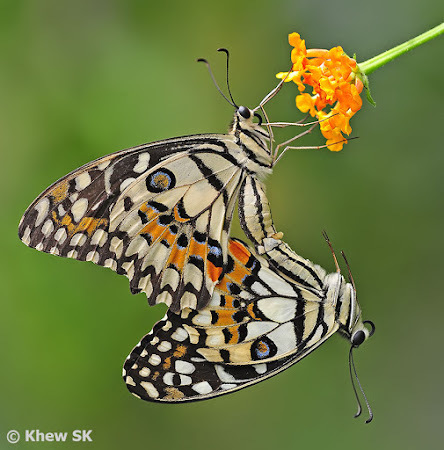 This method of naming the subspecies is known as the trinominal system and is now in general use for the scientific naming of butterflies. A Pea Blue in Singapore is also known as a Long-Tailed Blue in Australia and Europe. But its scientific name, Lampides boeticus, is consistent, wherever it is found. 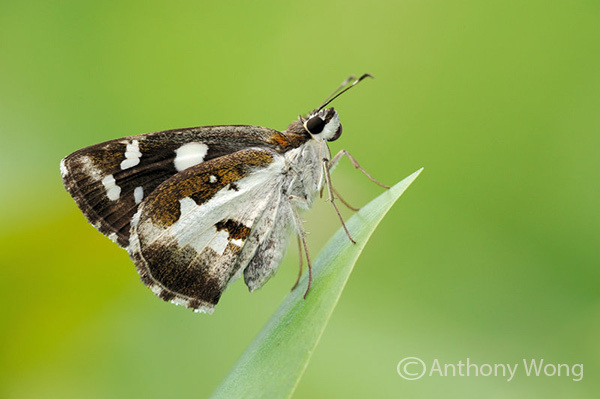 I have sometimes been asked about what a subspecies is, and how a butterfly subspecies comes about. 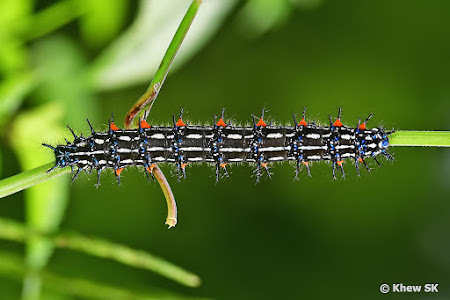 This blogpost discusses the definition of subspecies, and the way it is applied to the scientific naming of butterflies. Although most amateurs and hobbyists prefer to use English common names for butterflies, this can often be confusing, and common names tend to differ amongst different countries and published references. 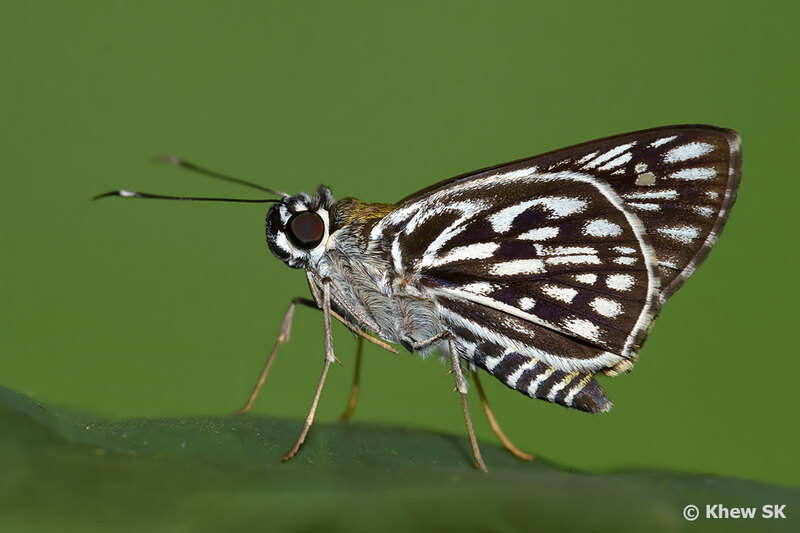 Scientific names, however, are adopted universally and Lampides boeticus is the name used for the species, whether in England or in Singapore. 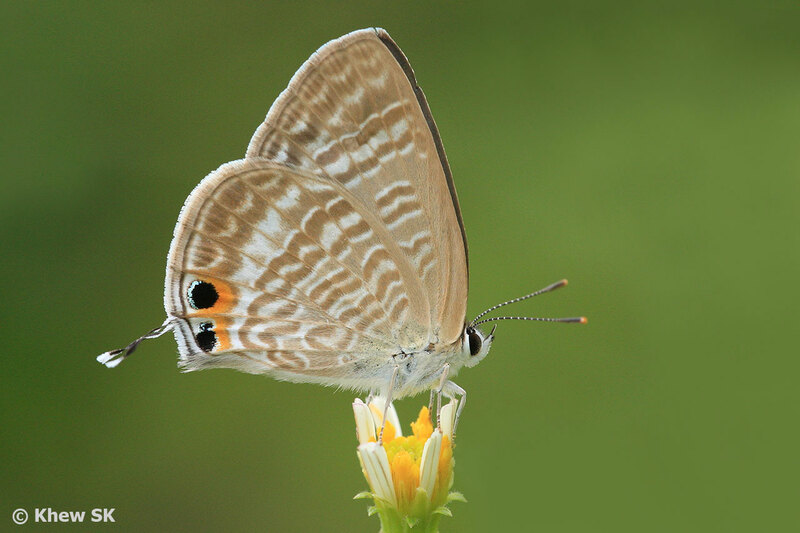 The English common name, however, may vary from Long-Tailed Blue to Pea Blue, depending on where the butterfly is sighted! Before we examine the concept of subspecies, let's consider what makes a species. A species is a group of living things with very similar traits that can interbreed. For example, elephants can breed with each other, but not with hippopotamuses. Different species rarely interbreed. On the occasions when they do, either by human intervention or naturally, the offsprings of the interbreeding are typically sterile, and are unable to reproduce further. By definition, a subspecies is an individual or a group within a species that has become somewhat physically different from the species. However, they are still biologically similar enough to interbreed with individuals of the same species. Now let's take a look at why some species branch into subspecies. One major reason for this is the geographic isolation of a particular population of that species e.g. by physical distance or geographical separation, like an island. They are still the same species, but the group that became isolated may take on some different physical features simply due to their location. However, we need to understand that the science of taxonomy is ever-evolving. Scientists often find themselves in disputes about which genus a particular species belongs to, or whether two or more butterflies with very similar physical characteristics should be classified as separate species or as subspecies. With recent developments in microbiology, phylogenetics, DNA sequencing, and the study of the early stages of a butterfly often results in new insights on the relationships between species. 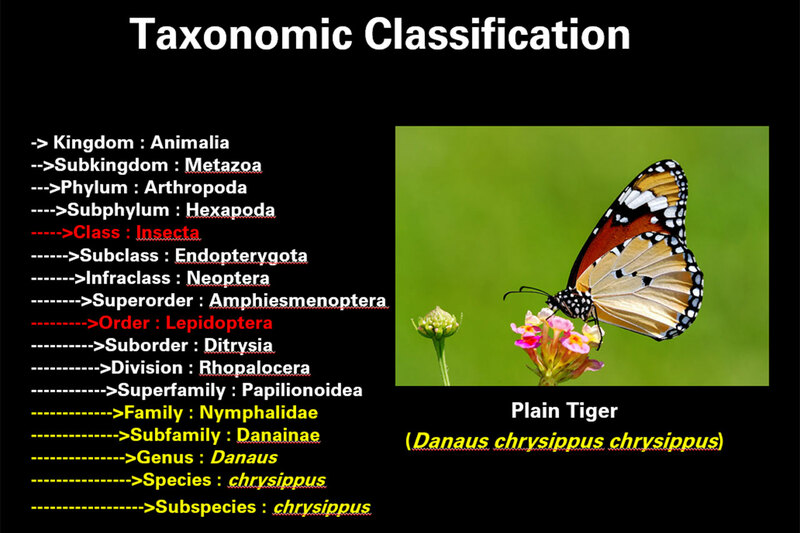 This newfound knowledge regularly results in the necessity to make revisions to the adopted classifications of butterflies. 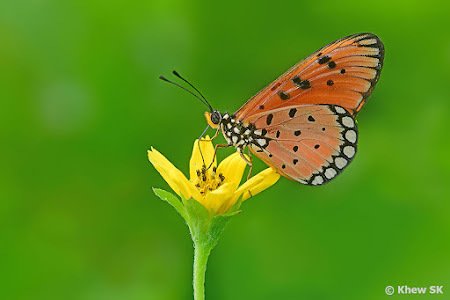 In the trinominal system of naming of butterfly species, we have the [Genus] followed by the [species name] and then by the [subspecies name]. 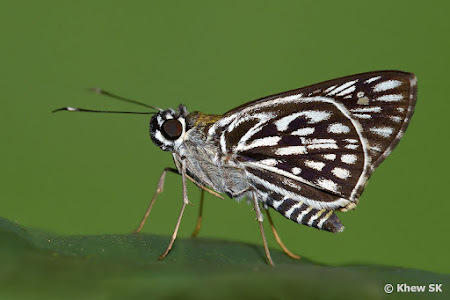 Hence for a Lime Butterfly, the scientific name would be Papilio demoleus malayanus. Note that only the genus name is capitalised. The species and subspecies name should never be capitalised. 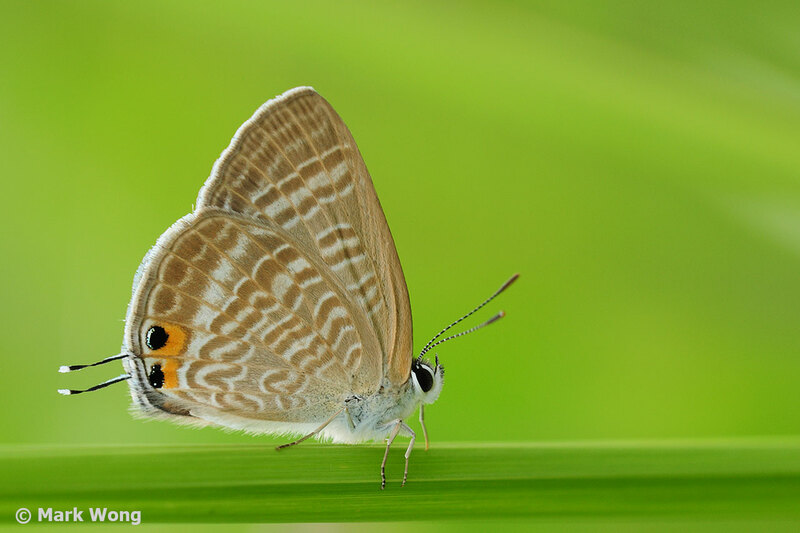 For amateur observers (and even for the more knowledgeable enthusiasts), it is sometimes difficult to ascertain the physical differences between two subspecies of butterflies. Very often, purely due to geographical distances, a butterfly that shows very little perceptible physical differences is given a different subspecies name. Others, however, are more obvious where the physical differences are clear. Then what about butterflies with only species name given to it? This suggests that the species is consistent throughout its range and there are no discernible physical differences in its appearance, no matter where it is geographically found. Some examples of such butterflies that are extant in Singapore are the Pea Blue, Grass Demon, Tawny Coster and Chequered Lancer. Interestingly, quite a number of butterflies that have been described down to only species level are from the Lycaenidae and Hesperiidae families. Left : Subspecies pratipa and Right : subspecies bisaltide are both found in Singapore. However, subspecies pratipa has not be reliably seen since 2007. 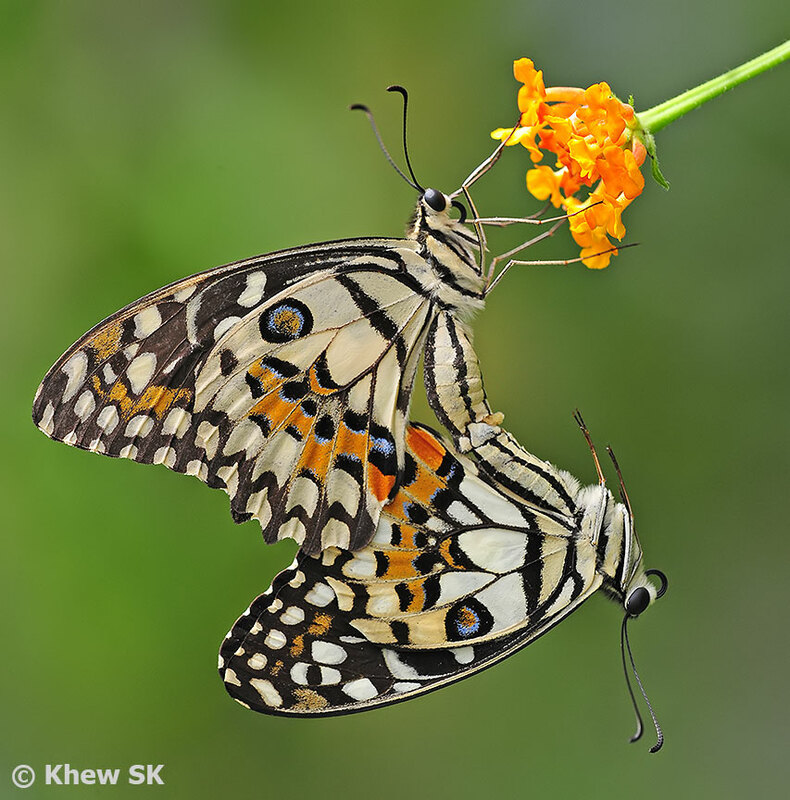 In Singapore, there are 3 occurrences of butterflies of which there are two subspecies observed here over the years. 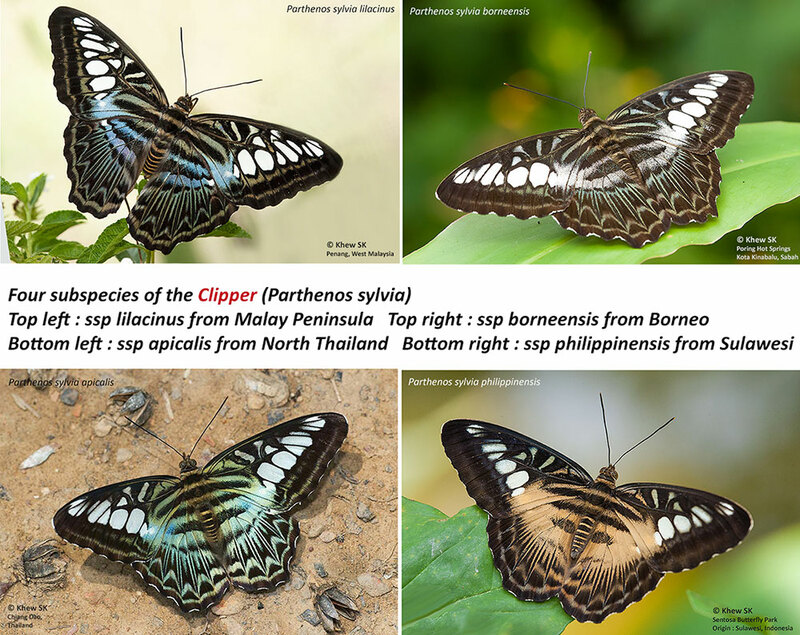 These are the Knight (Lebadea martha parkeri and Lebadea martha malayana), the Great / Jacintha Eggfly (Hypolimnas bolina bolina and Hypolimnas bolina jacintha) and the Autumn Leaf (Doleschallia bisaltide bisaltide and Doleschallia bisaltide pratipa). Being an island separated from mainland Malaysia, it is likely that these subspecies' range overlap between Singapore and Malaysia and the evolution of the subspecies may continue until one is eventually eliminated. 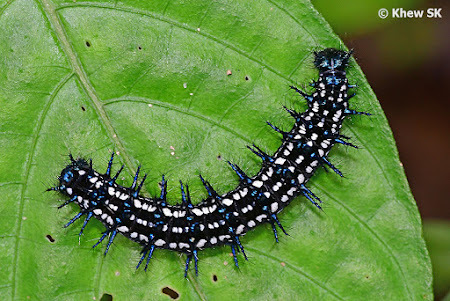 In the case of the Autumn Leaf, the subspecies pratipa which is usually found in Malaysia has a distinctively different caterpillar that is more obvious than the adult butterflies. However, subspecies pratipa was last seen in Aug 2007 at the Mandai Zoo and it is unknown if this subspecies still occurs in Singapore. The other two species continue to have sightings of their respective subspecies to this day. 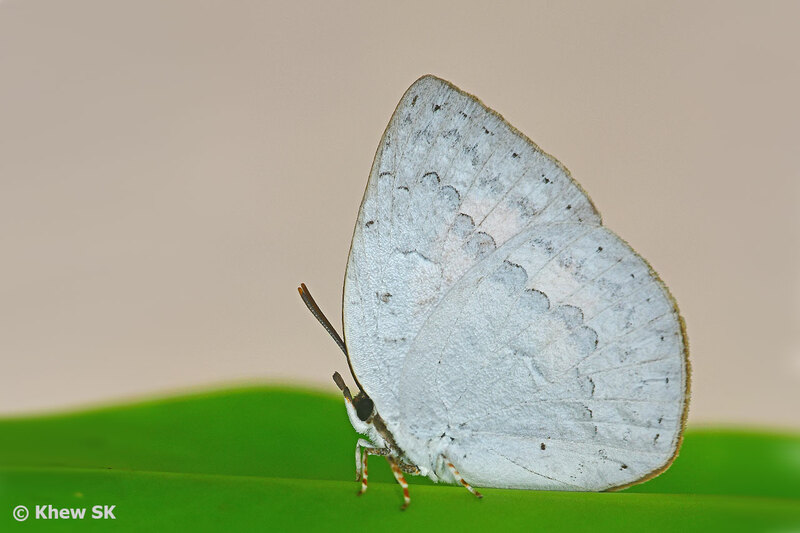 As taxonomic science continues to evolve, technical methods and new knowledge are gained, it is inevitable that changes and updates to the scientific names of butterflies will continue.